The old Atlantis Hotel is no more. In its place is a spanking new hotel - The Atlantis Historic Inn. the buffet is the same! 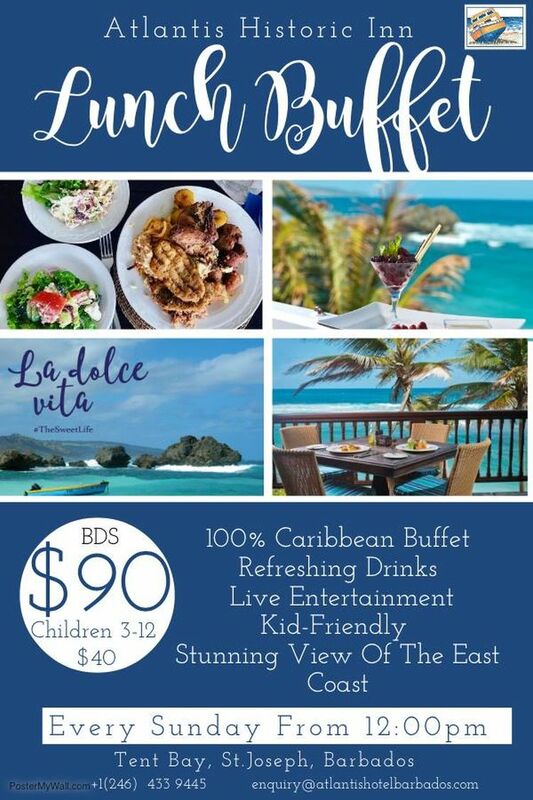 For Bds $90.00 + 10% service charge and 2.5% Tourism Product Development Levy, you can have what is easily one of the best Bajan buffets in the island. 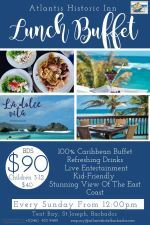 Be prepared to enjoy a wide selection of local dishes. Don't be afraid to choose something you've never had before. Everything is delicious. 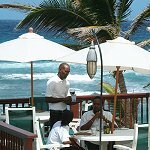 .......all dishes that a Bajan is knows well and that a visitor will enjoy. In addition, there are other dishes that a visitor will be familiar with should he/she wish to be conservative. Everyone should taste this buffet at least once! Transportation to and from your hotel is available. Bds $10.00 per person - minimum 5 persons.